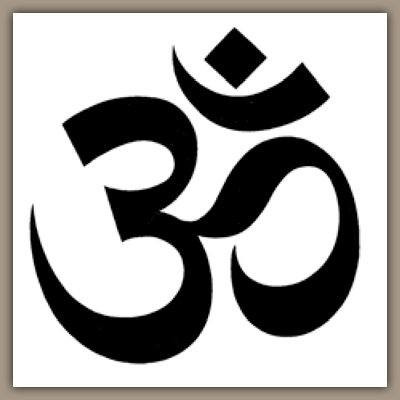 Just after my teacher training, in Dec, I got the "Om" symbol tattooed on my wrist. I wanted something to remind me of this recent journey, and something to keep me grounded, for future adventures. At the time, this sacred symbol solely reminded me of my love for yoga. But as my research continues, as I chant it more and more, like it's history, it's meaning runs deeper. Om is commonly known for the prayer/awkward sing song, at the beginning of a yoga class. It can be a stressful and embarrassing time for many :) But with meaning behind the vibrations, it might take you out of your head/ego! Om is made up of three letters and sounds: A U M. The vibrations they create can be felt, or heard, in anything. There has been times in class when we begin to Om right when a motorcycle zooms by, or a car alarm goes off. You can hear the Universal sound in both, in all things, if you listen! It's believed that this sound was first heard, when the Divine (or God, or Allah, or Universe, etc), made himself unified with everything else-undivided. Which is why it's so wonderful to sing at the beginning of class. It brings all together, before we share such personal work as a one. And the entire symbol transcends all (samadhi). I thought this was neat... Pranava is another name for Om, which is derived from the prefix "pra" meaning DENOTING SUPERIORITY! So no separation, only unity. Om stands for the living spirit, for divinity, and realization of man's divinity within himself. So long story short, it's more then just a chant, its more then just a bumper sticker, its more then a singing competition, and it's more then just a tattoo.